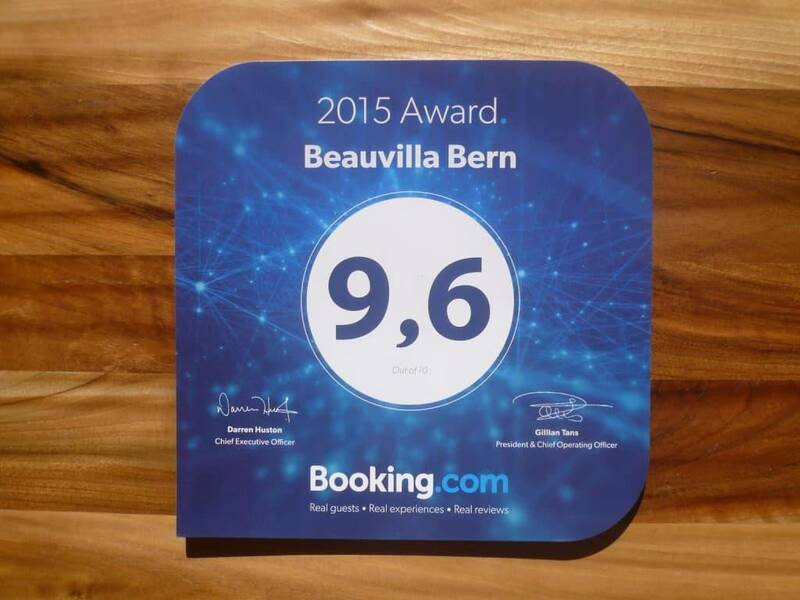 In the 1st year of operation, Booking.com has presented us an award of excellence. 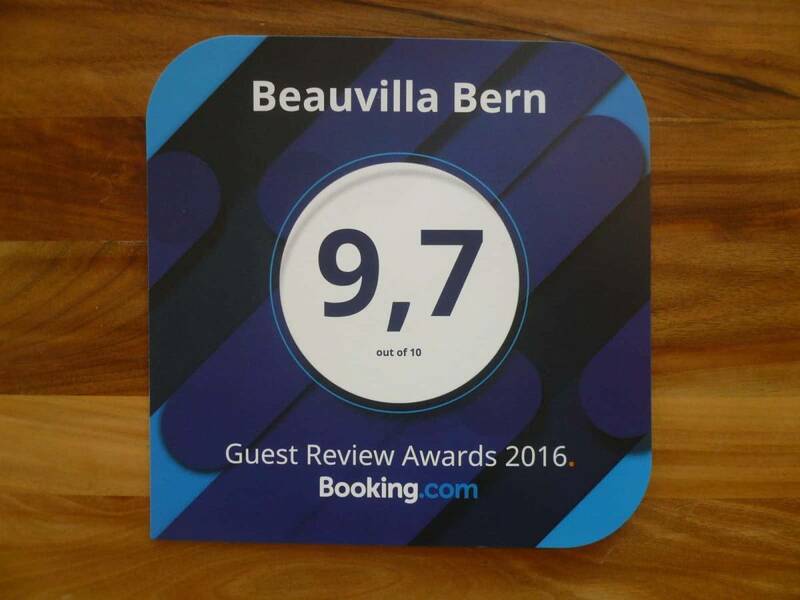 With an average score of 9.5 out of 10 points from more than 150 guest reviews, we were evaluated as “extraordinary” guesthouse. 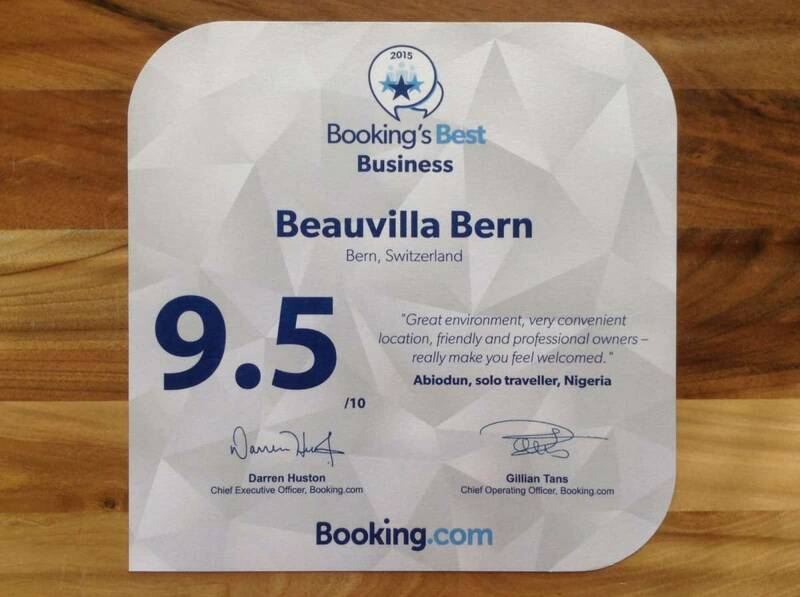 In 2015, we were awarded an average rating of 9.6. A gorgeously decorated property in a very well appointed neighbourhood. 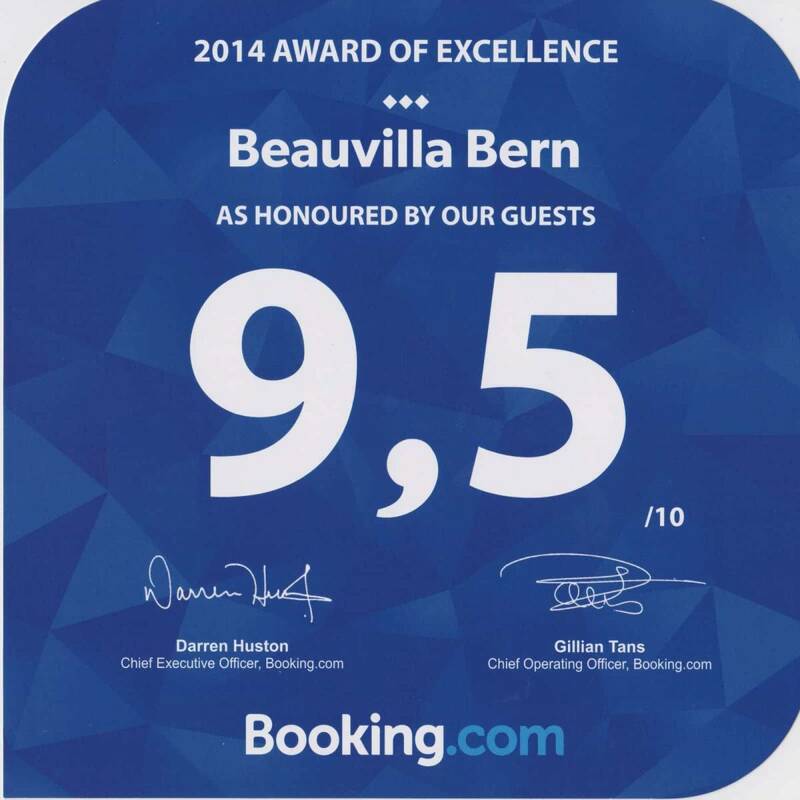 What a Gem for a short stay in Bern! 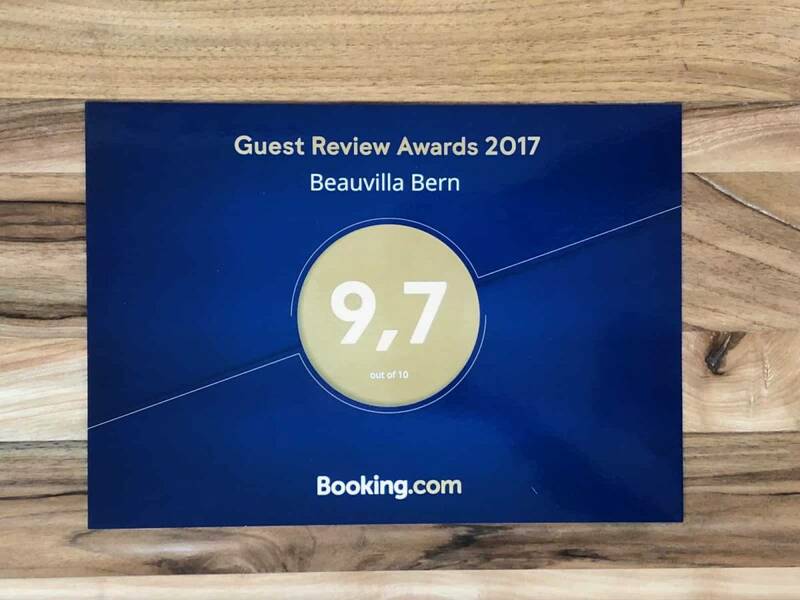 – Absolutely need to stay 2 to 3 nights at least…so sorry to have had such a short stay. All of the comforts of home … only better! – I wish we could have stayed longer.